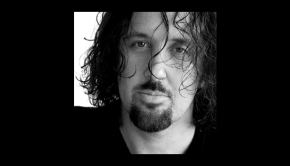 Dave Kerzner, formerly the keyboards with Sound of Contact (SOC), principle songwriter, and now solo. I hope the split was amicable as the Sound of Contact web page infers, but there again without the split we may not have been presented with New World. Stranded: (Standard & Deluxe) opens the album with a heart on sleeve moment as a multitude of influences are laid bare, including Yes, Floyd, Genesis and so many others, of which I would like to include Big Big Train. Dave seems to have taken the best elements and made them his own. This first track is parts 1-5 of 11, a variety of styles blended together and to my ears seamlessly – I’m impressed. I loved SOC and bought the album after only one listen – this one only took two tracks! If you look at the artists who have contributed to this release, he is not without friends and admirers; and you can add my name to the list. The Deluxe version offers an extended introduction that adds to the dystopian bleakness of the world that is being created, listening to the five parts feels no longer seamless, even when back to back with extended vs standard. This is probably the most Pink Floyd like and as such a scene setter for the rest of the album. His voice is a little bit like Dave Gilmour but without the gruffness. For a keyboard player you might expect the music to be heavily that way inclined, but I would say no and that the balance is right. I am trying to listen without saying all the bits or similarities with bands past and present and to be honest it is unusually easy. I will make comparisons but in no way is this album derivative, though it may influence others going forward. 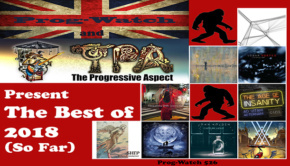 Back to the influences in terms of source albums – Animals (PF), Drama (Yes), smatterings of mid-term Genesis (Wind and Wuthering). Into The Sun: (Standard & Deluxe) Pink Floyd are a strong influence on this track but maybe I am just suffering from a momentary lapse of reason. I don’t care though as I am loving this album, and I want to have all its babies (yes I am going for therapy soon). The deluxe is two minutes longer, reminiscent of Floyd but without Roger Waters, (A Momentary Lapse of Reason) the longer version again uses the “space” to open up the New World with its regrets, sadness, and loneliness. Music that tweaks emotions. Longer in the fade out. The Lie: (Standard & Deluxe) This is Genesis as if the band had continued as a four piece after Wind & Wuthering; Genesis always had an edge when they wanted – it’s Banks, its Hackett, it’s Dave Kerzner’s vocals, it’s a warm duvet and I love being wrapped in this music on a cold winter morning. Big D is 2 seconds longer, maybe the mix slightly but if so my cloth ears cannot distinguish it. The Traveler: (Deluxe only) American spelling or typo? The two L’s symbolic of the journey…..travelling. New track; a short bridge track that is not unlike Welcome to the Machine – you close your eyes and listen to the human babble and you’re on one of those airport travel ways. Secret: (Deluxe only) is a sad song, but all the music so far is an aural fairground with each ride a pleasure. I would say this track lies somewhere between Alan Parson, Genesis, and latter era Beatles – Mr K does have a very wide range of influences. Reflection: (Deluxe only) is short instrumental track – a dream sequence of a soul at rest, leading into the longer version of Under Control. Under Control: (Standard & Deluxe) Dark, marauding – it’s the phrasing – I could harp on about who it is like, but the comparisons are cursory. If Dave is wearing his heart on his sleeve, I can’t really see it. A minute longer in the deluxe mode with the vocals in a slightly different mix I think – appearing menacing and anything but under control – deliciously dark. Premonition Suite: (Deluxe only) is a transitional piece, of a journey cautiously started but with increasing urgency. Dave has described this as cinematographic music and he’s not wrong. In The Garden: (Deluxe only), has breathy vocals and a simple melody, mixing acoustic and electric and is a lovely piece. It would appear that what was edited for the standard album and has as much depth and meaning, only limited by the 80 minutes maximum for a CD. The Way Out: (Deluxe only) These tunes carry the narrative forward, linked, and part of the story. They are quite reflective in their style and are also the tracks that sound most like Dave’s previous band – Sound of Contact. Recurring Dream: (Deluxe only) This track does invoke at dreamlike state – so I suppose it does what is says on the tin. Biodome: (Deluxe only) Is a nice link piece with spoken narrative – worth listening to the words. Crossing Of Fates: (Standard & Deluxe) Steve Hackett, who contributed on tracks 1 & 11, is a strong influence here. Is Dave, Rick Wakeman and Tony Banks’ test tube love child? I am trying not to be gushy over how much I love this album (shut up son – you’re failing miserably) but I’ve gone beyond the point of caring who it sounds like. Theta: (Deluxe only) Is a link piece with tablas – relaxing and music to chill to – a welcome addition. My Old Friend: (Standard & Deluxe) Here begins the quieter moments, this and the next track, are almost a respite from the intensity that has gone before. Still involved, still beautiful, and a fitting memorial as the track is dedicated to Kevin Gilbert. The deluxe version is a slightly shorter version, but with additional instrumentation, and which I personally believe is the better of the two. Solitude: (Standard & Deluxe) This is Dave’s Great Gig in the Sky (Pink Floyd) moment. I love the Floyd track, and Claire Torry’s vocals on that, but this I think blends the music and vocals better, cue hate mail from Roger Waters. It is the shortest track on the album but no less involving. It bears similarities with the aforementioned track but only tentatively. I have found little in listening to this I would call lifts (from other artists), it is unique in that I find it new, exciting, different and up there near the top of all the new music I have heard in 2014. Nothing: (Standard & Deluxe) ELO meet 80/90’s Genesis which is not a bad thing, it works. For immediate listening pleasure and for something to go onto a disc in the car, I would choose this. The harmonies remind me of ELO and the rhythm reminds me of Keep It Dark (Genesis). If there is a single on this album then this is the track. Erased: (Deluxe only) feels like a reprise, but stands in its own right with some nice guitar and piano on this track. Realign: (Deluxe only) The loud track – I like where it stands in the album, but then all life is fiction…. Nexus: (Deluxe only) Where all things join together bringing us down to the title track and conclusions, slowly descending and setting the mood for…. 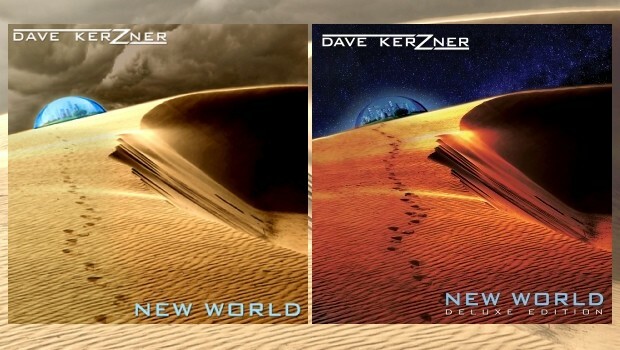 New World: (Standard & Deluxe) This is quite ELO’ish I think and believe Jeff Wayne would be justifiably proud of this. I can imagine it without too much of a stretch, with a full orchestra. This is a very accomplished piece of music and both this and Nothing offer an entry into Dave Kerzner’s music. Both beautiful tunes with enough hints of the rest of the album to draw the listener in. Redemption [Stranded part 6-11]: (Standard & Deluxe) Ah Mr Hackett’s input in easily discernible on the 17 minutes here. I love the long form of music, what sounds like a well-constructed jam, but preserves the senses. Dystopian sounding in places, yet also full of hope; indeed music to feed the senses. This track ends at around 17:27, but after a short breather resumes with a short bonus extending the running time to 21:31 on the Deluxe version. Dave Kerzner refers to the bonus piece as The End Credits and a fitting piece of closure it is too. Ah, now to one of life’s mysteries – you review the Standard version and then the Deluxe version comes along. Some tracks are expanded, some are completely new, instrumentals and vocal. Mr Kerzner states that the deluxe has a more cinematic feel and I think it does, although I now want to see the film of the soundtrack! I have tried to find reference points, to make comparisons and so on, but this is a Dark Side Of The Moon, A Trick Of The Tail, Selling England, Close To The Edge – thank you Mr Kerzner. With so many inputs from members of bands I love to listen to, New World is a treasure trove. Buy this album! This will become a benchmark and reference point when you listen to other artists over the next few years. Mr Kerzner has said in postings on Facebook, that it is a concept album, and also that the deluxe edition is more film like; the deluxe will have running time of around 140 minutes and is released in the UK on 16th February, but I may need to sell my granny to pay for it. Update: Okay, granny sold, but I got a good price. Which to buy? Well, the completest will want both. The standard gives you everything that you need in a new classic (well there is an oxymoron), the deluxe is well deluxe, there is a richness in the bonus (!) tracks that make it worth owning (so often deluxe means plus two tracks and perhaps a fancy sleeve, not here, this is definitely deluxe). I love the artwork on both, by Dave and Christine Leakey, and the contrast between day and night on the different album editions. It may not be helpful, but in the end the choice is yours, neither will disappoint. Needs a nice signature on the album cover J.